Seat - I Say Ding Dong Shop - Buy Stickers, Decals & Unique Automobilia. 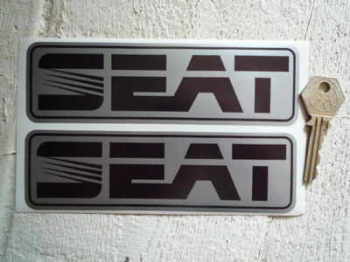 Seat Black & Silver Oblong Stickers. 6.25" Pair. 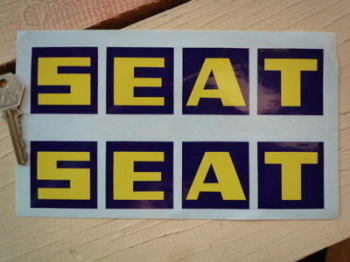 Seat Blue & Yellow Squares Stickers. 8" pair. Seat Number Plate Dealer Logo Cover Stickers. 5.5" Pair.